It’s not too late to order photo gifts for Valentine’s Day! Order one keepsake DVD of your slideshow ($50), and get the second for $25 – with FREE Priority Mail shipping. Order by February 7 to receive by Valentine’s Day. Other gift ideas include books (7×7, 8×10, and 11×13), gallery-wrapped canvases, float wraps (new! ), and custom collage displays. Order deadlines vary, so ask now! I recently met Shannon, i.e. 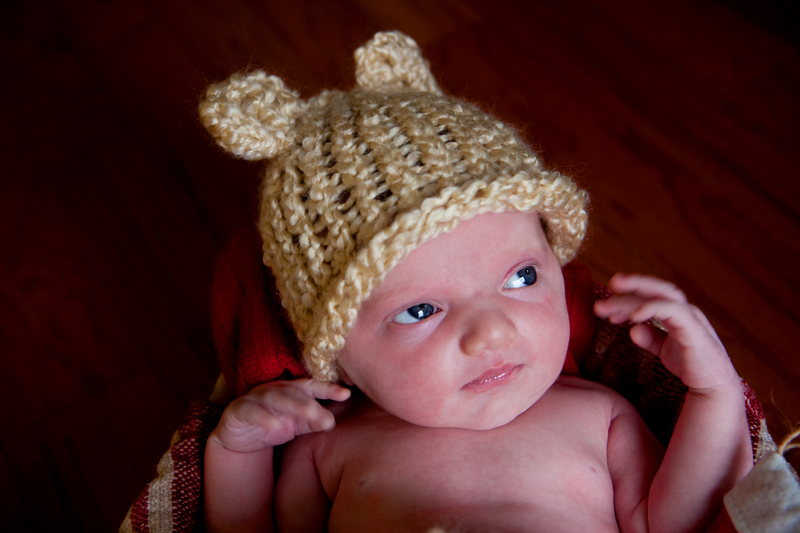 “OrganicMama,” on Etsy, and she creates these wonderful hand-knit hats (with ears!) and cocoons for little ones. 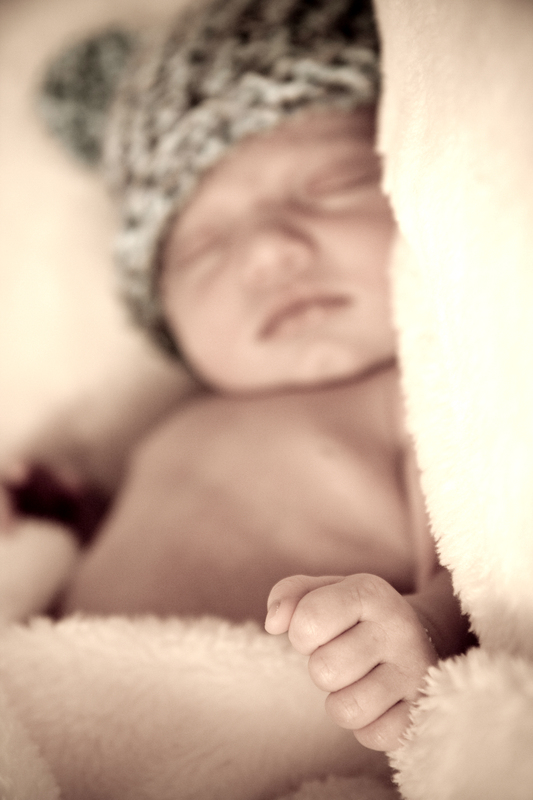 I have been looking for some simple props to include in my newborn shoots – they’re often asleep for the whole time and of course can’t do many “poses,” so props, environments, backdrops, etc. 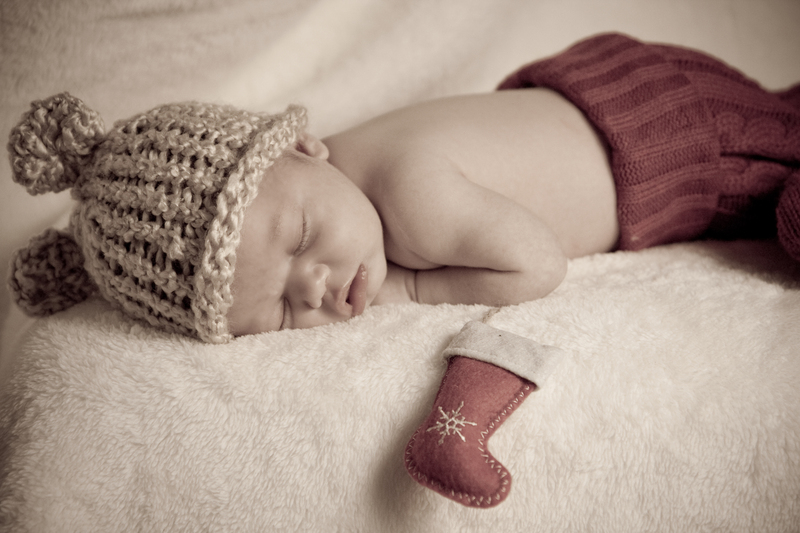 really help stage an adorable newborn photo. This past Sunday, I photographed two 2.5-week old munchkin girls, Vivian and Anabella, both born on the same day to moms that are friends – crazy coincidence! They were past the cocoon stage – which is within 10 days or so of birth, as they need to be teensy weensy and scrunched up; these girls have matured and can straighten their mini legs. 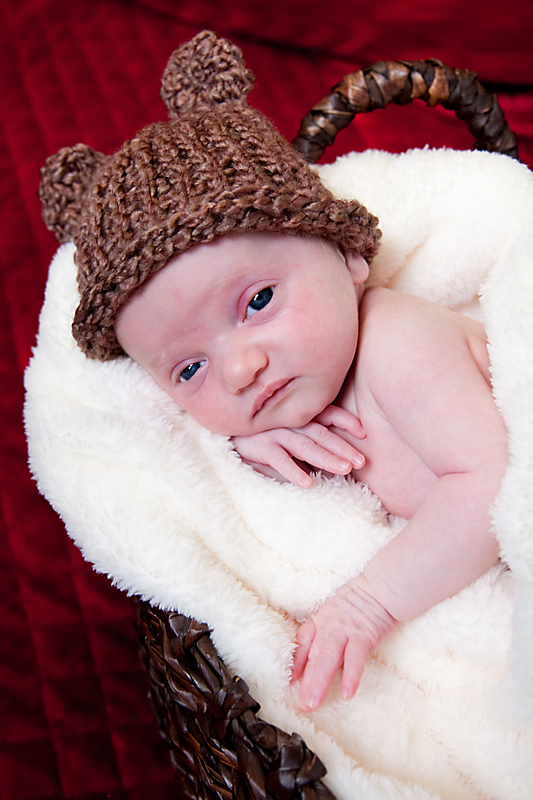 However, we got some adorable photos using Shannon’s hats. I absolutely love the yarn she uses; I’m normally not a fan of traditional baby pink and baby blue, but the marbled colors in her products are understated and really sweet. And of course, they are so, so soft. Here are a few of my favorite photos featuring Shannon’s beautiful hats. Anabella ready for her first Christmas. 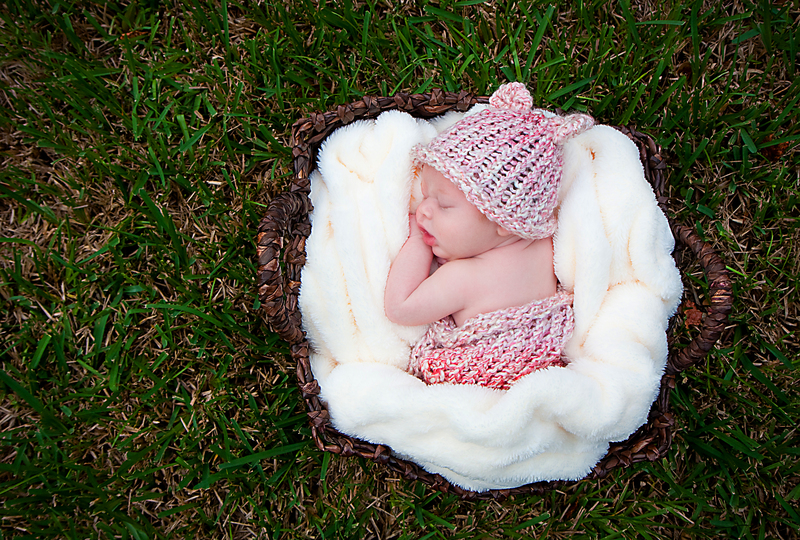 An adorable bundle in the grass. Vivian looking like she has a lot to think about. Vivian lounging in the basket.